One of my goals for 2019 is to make more Vegan Pizzas. I talked about this right after my 50th Birthday bash last year and it’s time to start sharing some fresh ideas. On his way to the test kitchen today, Chef Craig picked up some killer organic Compari tomatoes. Perfect for our real simple vegan pizza theme this week. 1. Preheat your oven at 500F with your Baking Steel on the top rack. 2. Stretch or roll out your dough into a 10-12 inch round. Get it nice and thin. Place it on a lightly dusted pizza peel and give it a little shake. Assuring yourself that the dough is “loose”. 3. Switch your oven to the broiler setting. 4. 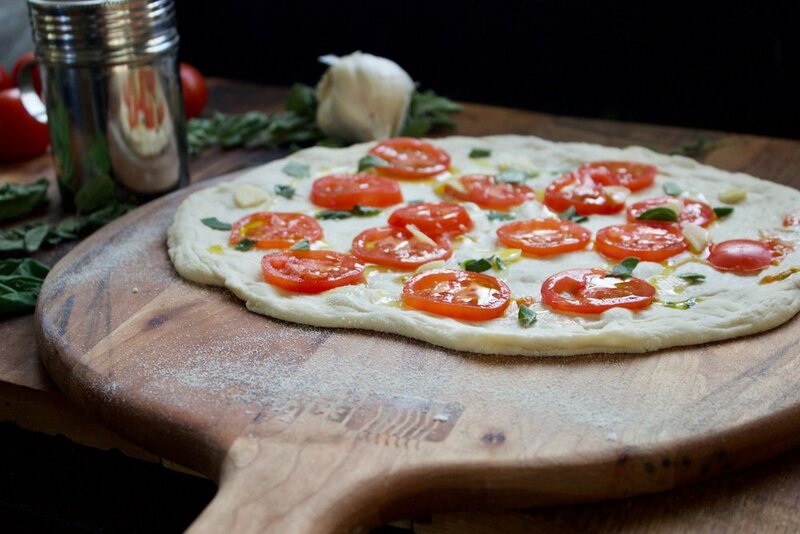 Distribute the garlic, tomatoes, oregano over the dough. 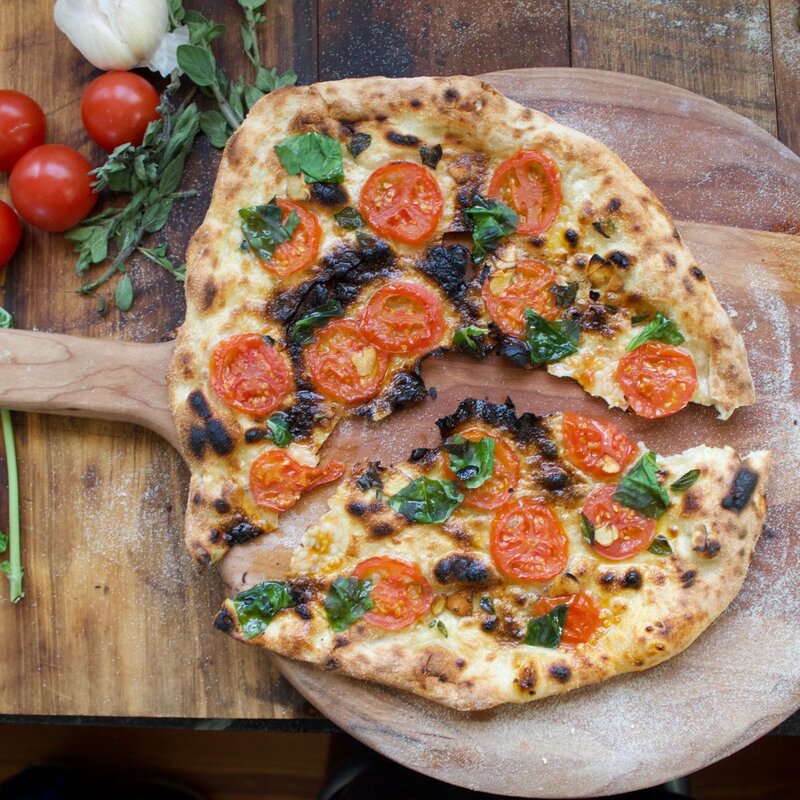 Launch onto your Baking Steel. 5. Set timer for 60-90 seconds. Open oven and rotate by giving the pizza a turn. Close oven and switch back to bake or convection bake. Cook for an additional 2-3 minutes until desired doneness. 6. Remove and garnish with fresh basil and olive oil.